The annual Diocesan Vocations Mass will take place on Thursday 13th September at 7pm in St. Andrew’s Cathedral, Dundee. Bishop Robson will be principal celebrant and Fr Andrew Marshall will preach. 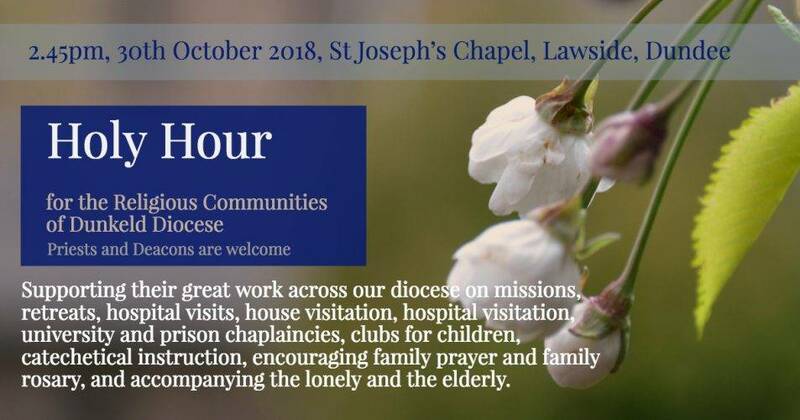 There will be a diocesan Day for Readers on Saturday, 22nd September, 2018 at St John’s High School, Harefield Road, Dundee. Canon Kevin Golden will send you full details of the programme and an invitation to your readers to register for this event.